THE INDUSTRY'S BEST-SELLING CROSSOVER Any Task. Any Trail The GENERAL™ 1000 EPS gives you versatility and power for any task and any trail, offering the hard-working heart of a RANGER® and the performance of a RZR®. 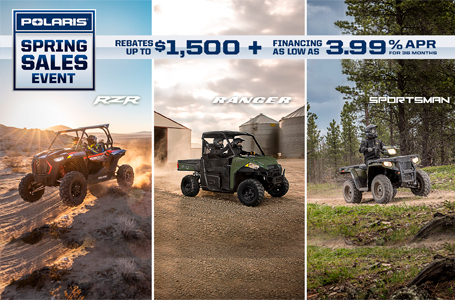 With class-leading power and rugged features, you'll be ready go where you want to go, get done what needs to get done, and dominate the off-road in the industry's best-selling crossover SxS. 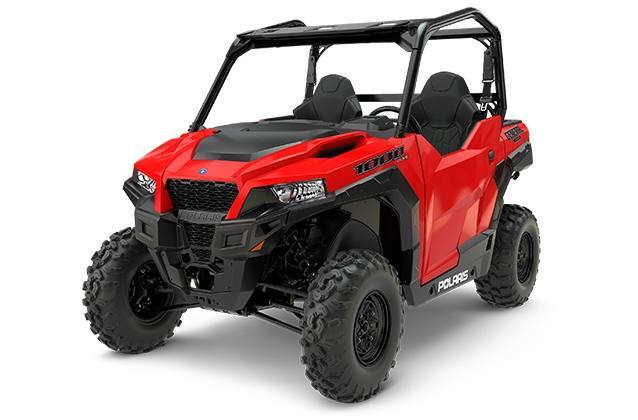 The GENERAL 1000 EPS is the most powerful rec/utility vehicle ever built, delivering all the power you need for a day dominating the trails or working on your property. Industry-leading 100 HP, 999cc 4-stroke twin cylinder engine. High Performance True On-Demand All-Wheel Drive to give you the traction you need, when you need it. VersaTrac Turf Mode for tighter turns. You get it all with GENERAL. Suspension, handling, and ground clearance to tackle any terrain the trail or work site throws at you. Class-exclusive sway bars to stay planted on the trail. A full 12" of obstacle-dominating ground clearance. Dual-rate springs with tuned suspension to maintain ground clearance. The serious work ethic you need to haul, pull, and power through the biggest jobs. A massive 1,500 lbs. of towing capacity. 1,100 lbs. of payload capacity. 600 lb. dumping cargo bed. Standard engine braking for smooth speed decelerations. With premium features and attention to detail, GENERAL delivers the ultimate balance of all-day comfort for work and play. Comfortable and secure premium cut and sew bucket seats. Tilt steering and seat slider for ultimate comfort. 23L of integrated storage, including center console storage.